This is about my experience with the Research Apprenticeship Program at FHL and the presentation of my research at SICB. My first impression of Friday Harbor Laboratories was at five am, watching the sun rise slowly over the town when I arrived at the Lab. Everything was so quiet and beautiful. There was a light mist of rain falling but it wasn’t enough to really bother anyone. I remember the morning being filled with the color blue. I had been traveling for a good ten hours in busy airports, shuttles and taxies previous to that peaceful moment. That is when I knew I had arrived at a wonderful place and that moment will stay with me for the rest of my life. 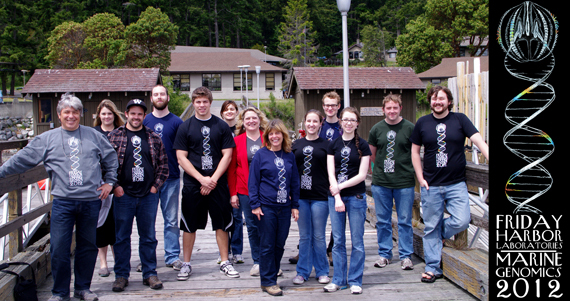 Now, I don’t think there was another moment as quiet as that for the rest of my time at Friday Harbor Labs. It seems there is always something exciting going on at the Labs, whether it be new discovery in science from long days at the lab bench, field trips to the many amazing places around the island, talks and lectures by the top experts in the field or barbeques at the professors’ apartments. The dock is also where my apprenticeship team collected our study animals, ctenophores. Ctenophores are small gelatinous marine organisms that could be the earliest extant animal lineage. They are visibly similar to jellyfish but instead of moving by pulsing their bodies they move via coordinated movement of rows of cilia called combs. 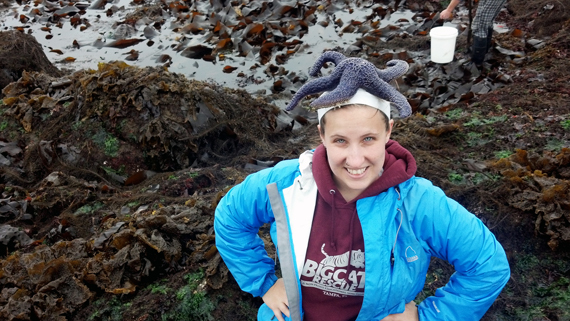 Thankfully we had one of the best ctenophore experts in the world, Claudia Mills, to help us out with these guys. 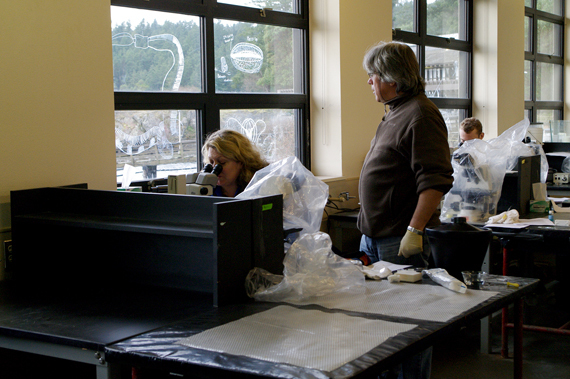 The lab of Dr. Leonid Moroz, the other professor in my apprenticeship, had recently sequenced the genome of the ctenophore Pleurobrachia bachei which is present in great numbers at Friday Harbor Lab. During our course of study we were seeking to identify specific genes from its genome and their expression in the animal. Because these creatures could be the earliest animal lineage, they could be the first animals to develop a nervous system. Being interested in neuroscience, this is what I wanted to investigate. Okay so it was a bit easier than that, mainly due to the expertise and support of another one of our professors, Dr. Andrea Kohn, the queen of molecular biology. She taught us basically all of molecular biology in a few weeks. Another big help was that some of this work, such as the RNA probes, was done at Dr. Moroz’s lab back at University of Florida by Yelena Bobkova and Tatiana Moroz, and there were a number of amazing teaching assistants (TAs) who did hours of countless work on top of their own projects. Not to mention the unselfish days of constant teaching and help that our brilliant professors, Dr. Billie Swalla and Dr. Leonid Moroz, devoted to this apprenticeship. The only way this thing happened, was that everyone was amazing and worked very hard. Even still, this was a lot of work to be done in a little over two months. It got pretty stressful at times. But I think that this is one of the aspects that helped prepare me most for graduate school. See, I did this apprenticeship in the year after I had graduated with my B.S. and before I had started graduate school. I was planning to attend graduate school but to be honest I was a little disheartened with science in general that year. My undergraduate senior thesis had been so filled with bureaucracy and red tape that it never got finished even though I worked on it for a good year and a half. 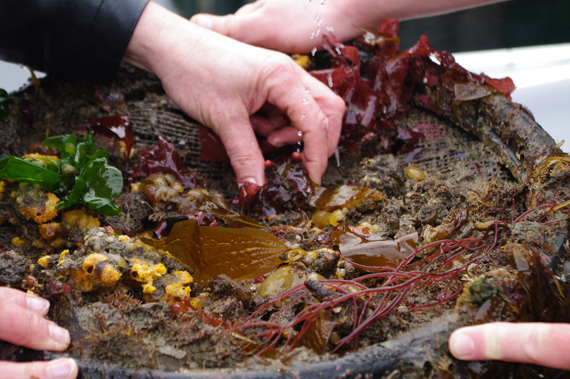 This experience at Friday Harbor made me fall in love with science again. It got me excited about going to grad school. But it also showed me the reality of the situation in stressful times. 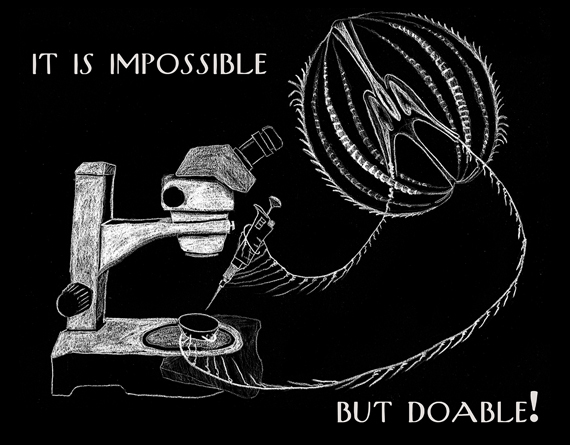 The apprenticeship showed me that science is amazing and beautiful. But it also showed me that science is also hard work. I feel learning these things is very important to young scientists. This wasn’t all there was to Friday Harbor. I also gained wonderful friendships from this experience. We were all together 24 hours a day. It wasn’t just the people in the apprenticeship. We became close to students taking spring courses at FHL. The environment at the Labs really fosters great friendships. I’m not sure that it is this way with all of the professors, but the professors in the apprenticeship became my close friends. 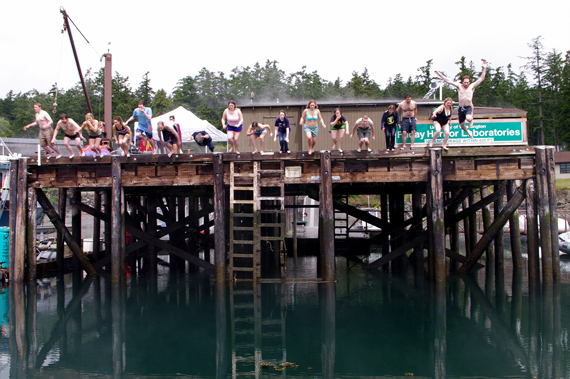 We were all a family on that island —a family that jumps off of docks together into freezing cold water! 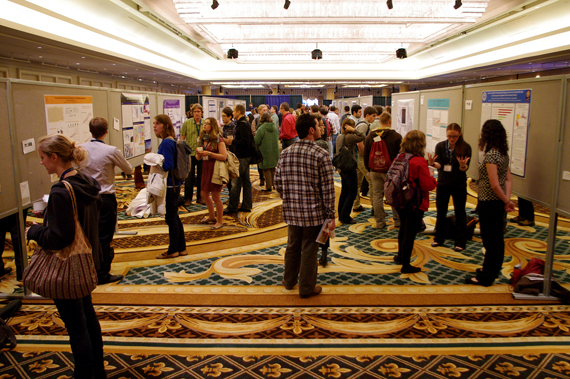 Now this wonderful FHL experience led me to another great event in my life: attending and presenting at my first science conference, the 2013 Society for Integrative and Comparative Biology meeting in San Francisco, CA. Those of us in the apprenticeship presented our work. 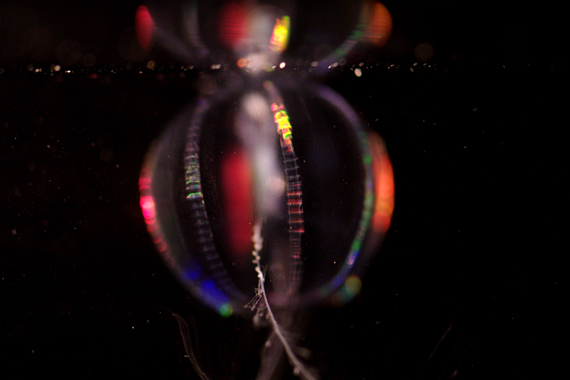 Ctenophores were a big hit at this meeting and it was very exciting. Dr. Moroz talked about the basal position of ctenophores on the evolutionary tree. I made and presented a poster for this meeting based on my research in Friday Harbor. I was pretty nervous at first but presenting the poster actually turned out to be a lot of fun because I could talk to people about my research. Though, one of the first people to come up to me was a freelance writer for “Nature” and I’m sure I messed up every word I said. Then it seemed like my whole citation list of authors came by. Everyone was so nice. I had fun conversations about ctenophores with people who were as excited about them as I was. The rest of the conference was just amazing. I circled a bunch of talks in my program to attend. I was really impressed by the variety of information being presented and the diversity of fields represented. It was such a great mix. Attending and presenting at a conference is a big step in my career and it wouldn’t have been possible without the apprenticeship at Friday Harbor Labs. This single apprenticeship has set me up in many ways for a very bright future through learning lab techniques and graduate school life, making valuable connections and friendships, and started my career off with a presentation at a conference. 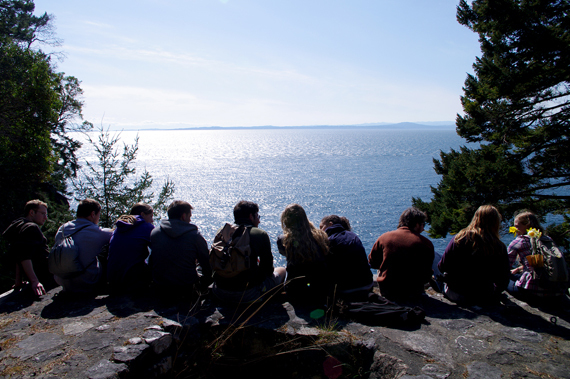 I absolutely love Friday Harbor Laboratories and I treasure the friendships with people I met there with all my heart. 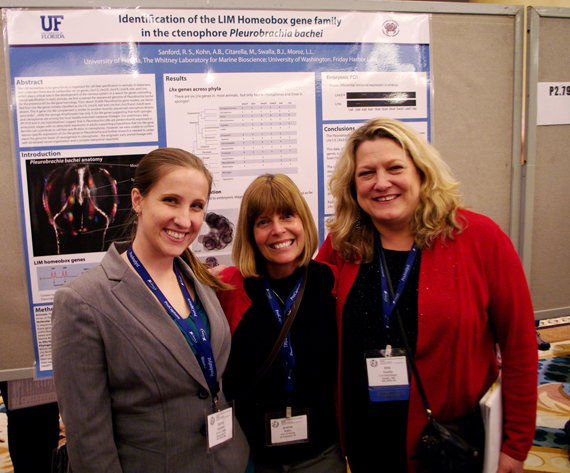 Rachel Sanford attended FHL Marine Genomics Research Apprenticeship in the spring of 2012. She has a BS Zoology and Psychology from the University of Florida and currently is working on her PhD at the University of Florida in the Interdisciplinary Program of Biomedical Science with a Neuroscience concentration.